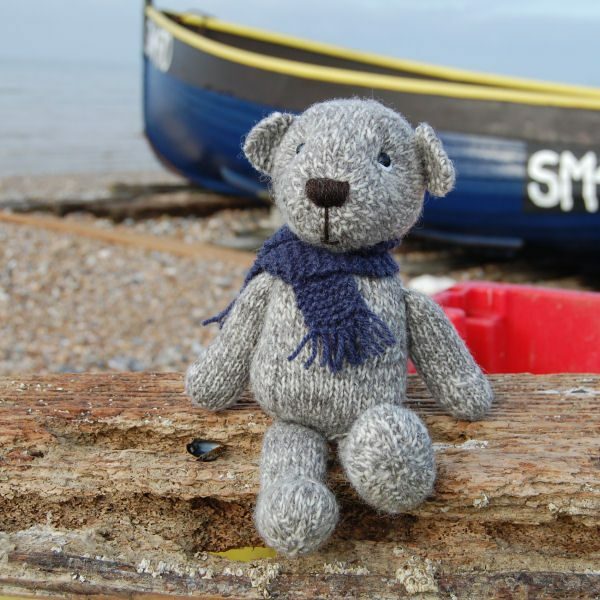 Hamish McFisher loves to explore the beach and he especially enjoys bracing Winter walks beach-combing for treasures washed up by the stormy seas. 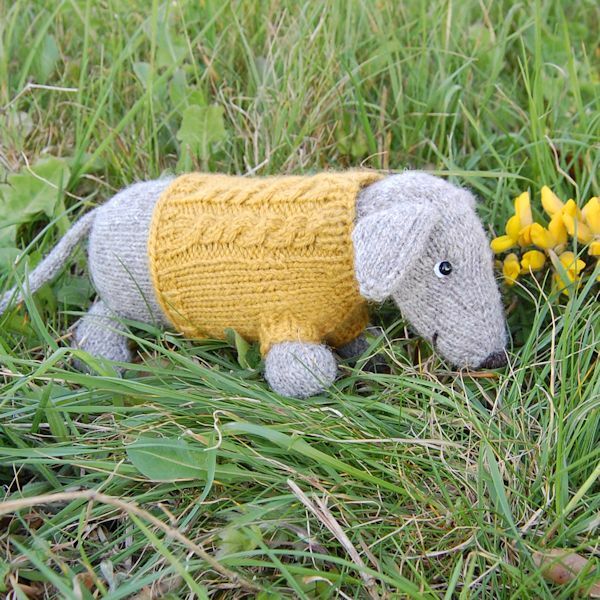 So, to keep him warm, he is knitted in a lovely marled Shetland wool. 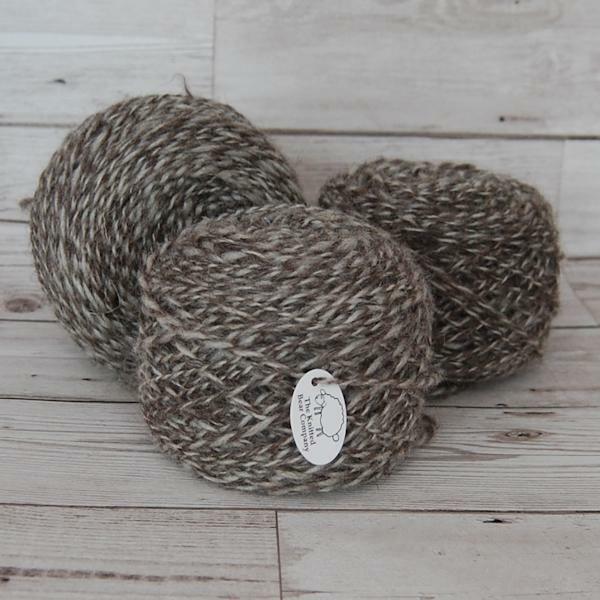 To produce the marled colouring for Hamish I have spun some white and grey Shetland wool and then plied, or spun, the two coloured yarns together, giving a lovely two toned effect. 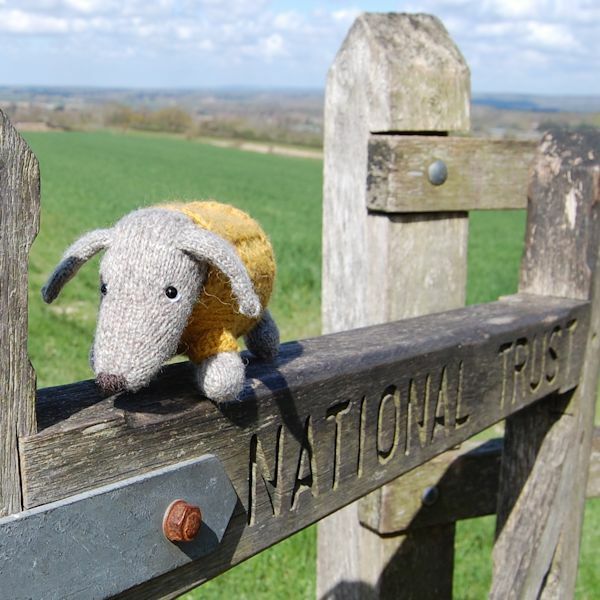 The yarn is a little thicker than my usual hand spun yarn which makes Hamish a little more chunky which is ideal in helping him to withstand the howling gales he insists on going out in! 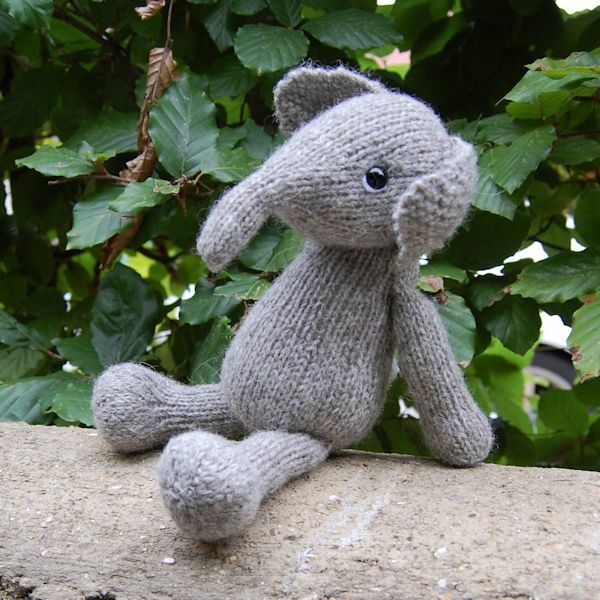 He is, after all, from the Shetland Isles and well used to stormy conditions! 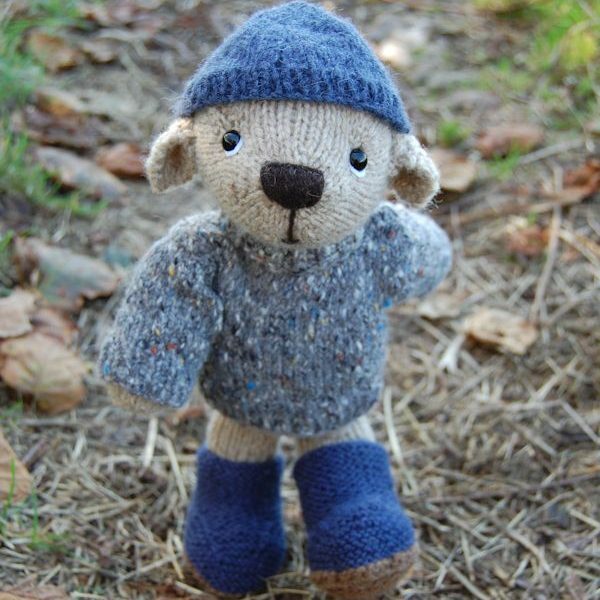 Being a wonderfully soft Shetland wool bear, I have given him a blue hand dyed wool scarf which complements his colouring and with an embroidered nose and gorgeous hand made glass eyes, this bear is seriously cute! 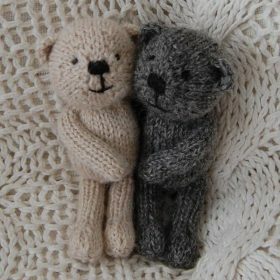 Little knitted teddy bear Hamish is hand made to order. 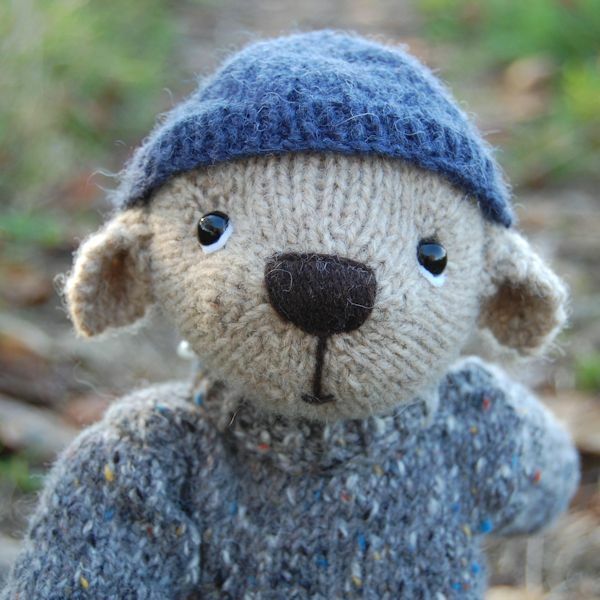 Please note that Hamish McFisher has glass eyes so he is not suitable for babies or children.